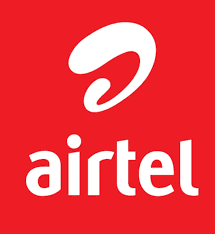 New Airtel Unlimited Browsing For 2018 Airtel unlimited browsing working for all Android devices is back, if this unlimited browsing is not working on your phone then you need to throw that phone away, whether you are using an iPhone, Tecno, or any other product this unlimited browsing will work for you. New Airtel Unlimited Browsing For 2018. Hello guys it have been long I drop on browsing cheat. I have use this cheat for two weeks now. I decided to share it, you guys can check if the cheat out. Note: This Airtel Unlimited browsing won’t work for you if you’re using a less smartphone, it’s strongly recommended you use chrome or firefox to browse else you might find some difficulties when browsing. 1. you must have up to 200 naira on your sim or Load Airtel 200 naira on your sim. 2. Dial *482*4# , you will receive invalid request message. 3. Relax, just reply with * then reply with 1. You will then receive 2g data subscription. 7. The stronger your smart phone the more your chances of the browser to open.